Availability: All Malaysia residents via walk-in ticket purchase at KidZania Kuala Lumpur Airport Counter only. 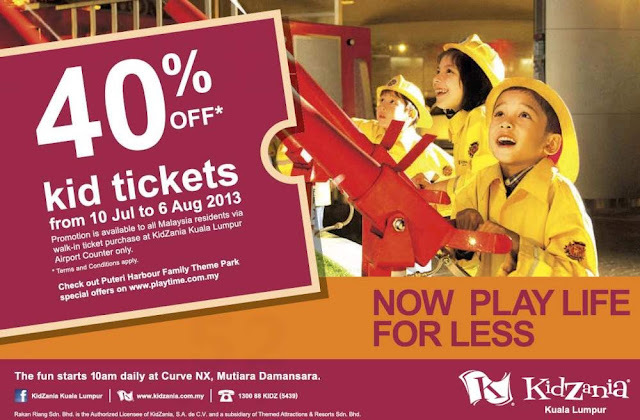 40% OFF Kid Tickets! Now Play Life for Less!